Negotiating with tax authorities is often a time-consuming, complex and unnerving task. This perception among taxpayers could be due to their relative lack of understanding and familiarity about the negotiation process. It is therefore safe and prudent to entrust tax negotiations and settlements to seasoned professionals who have vast experience in handling such cases across jurisdictions. In the event of tax arrears or if tax payable is too high for a company to make payment, instead of defaulting and being subjected to penalties and interests, companies may ideally negotiate a payment plan with the tax authority. A company having a tax debt and facing cash flow problems can approach the tax officer to negotiate for an extended time to pay the tax through instalments. While negotiating for a payment plan the company must duly consider its capacity to make the payments in instalments and other recurring liabilities that would become payable during the instalment period. During the negotiation appeal to the tax authority, it is important to present your company’s position in detail and the reasons for the arrears. If there are any errors in the assessment or if you do not agree with the assessment, you must provide details of the same as well. You would also be required to make a proposal of how much you would be able to pay every month and the time to repay. The authority will review your financial position, assets, liabilities, revenues, past payment and default history before giving its consent for the payment plan. The instalment period may vary depending on the amount in arrears and the viability of the business. It is important to note, that negotiations are not just relevant for tax debts but also in the event of an anticipated inability to pay the tax on time. However, by negotiating for time to pay your tax debts, interest would be charged. Use a qualified corporate taxation services provider to be informed of all the dos and don’ts regarding negotiating a payment plan. The instalment payment arrangement is for temporarily distressed companies and the tax authority may cancel the arrangement if the business becomes unviable or if it finds out that the company has misrepresented or falsified its financial position. If the risk profile of the company is high, the tax authority may ask for additional documents. It is important to propose a viable payment plan. If the company is not able to fulfil its obligation and defaults the negotiated arrangement then the tax authority may cancel the arrangement and would resort to other means of recovering taxes. Process – The taxpayer needs to submit an application for settlement clearly explaining the circumstances under which the settlement is being sought. Payments – The taxpayer may choose to pay the agreed settlement amount in one lump sum payment or agree to a schedule of payment drawn out by the authorities. Agreements – When the settlement agreement is effected the taxpayer may or may not be subjected to interest unless he defaults on the settlement arrangement. 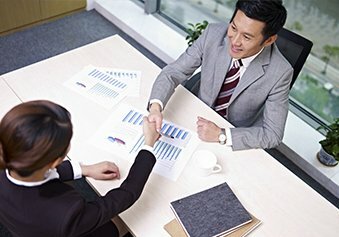 If you are having difficulty paying your tax bill, the experienced tax professionals at Singapore Tax Accounting will be able to review your financial position, tax history and accruing and potential obligations and propose a viable instalment plan or settlement arrangement that can be successfully negotiated with the tax authorities. Need outside expertise to handle your tax negotiation? With years of experience and a focus on customer service, the Singapore Tax and Accounting team can help you with resolving your tax issues.